The last two decades have seen an explosion in research analysing cultural change as a Darwinian evolutionary process. Here I provide an overview of the theory of cultural evolution, including its intellectual history, major theoretical tenets and methods, key findings, and prominent criticisms and controversies. ‘Culture’ is defined as socially transmitted information. Cultural evolution is the theory that this socially transmitted information evolves in the manner laid out by Darwin in The Origin of Species, i.e. it comprises a system of variation, differential fitness and inheritance. Cultural evolution is not, however, neo-Darwinian, in that many of the details of genetic evolution may not apply, such as particulate inheritance and random mutation. Following a brief history of this idea, I review theoretical and empirical studies of cultural microevolution, which entails both selection-like processes wherein some cultural variants are more likely to be acquired and transmitted than others, plus transformative processes that alter cultural information during transmission. I also review how phylogenetic methods have been used to reconstruct cultural macroevolution, including the evolution of languages, technology and social organisation. 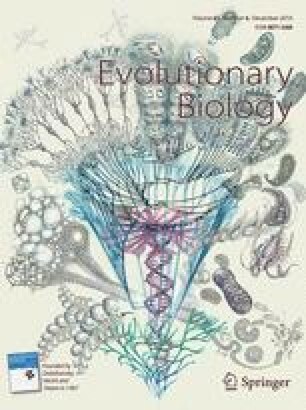 Finally, I discuss recent controversies and debates, including the extent to which culture is proximate or ultimate, the relative role of selective and transformative processes in cultural evolution, the basis of cumulative cultural evolution, the evolution of large-scale human cooperation, and whether social learning is learned or innate. I conclude by highlighting the value of using evolutionary methods to study culture for both the social and biological sciences. Xu, J., Dowman, M., & Griffiths, T. L. (2013). Cultural transmission results in convergence towards colour term universals. Proceedings of the Royal Society B: Biological Sciences, 280(1758). doi: 10.1098/rspb.2012.3073.